The Indonesian archipelago is vast string of islands stretching from Sumarta to Irain Jaya. The thrill of my visit to the islands of Java and Bali is only equaled by my desire to one day visit the rest………perhaps one day. Swarms of colorfully painted bicycle rickshaws cruise up and down the long sidewalk avenues somehow weaving through legions of ambling pedestrians . Along the Javanese alleyways scores of tiny cluttered shops peddle the “batik” textiles for which Yogyakarta is known. A sultan’s palace sits resplendently perched at one end of the city in stark contrast to the slums of shanty tin and metal shacks lining a murky brown river nearby. The huddled masses of dwellings flank the slopping riverbanks, each structure haphazardly built with its own funky geometric shape on top of shacks below as random power lines rise above eventually tethering together like a giant spider web. As the wispy early morning mist began to dissipate the faint outline of the giant Buddhist temple emerged from behind the clouds shrouding its towering peak. 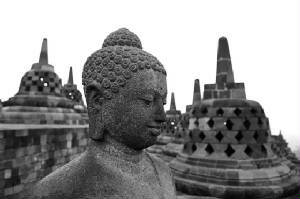 And so it was I had traveled many miles to Borobudur, a city as exotic as the temple by the same name is ancient. The intrigue of Borobudur cannot be overstated, rivaling other better know structures like Ankor Wat in Cambodia, it stands as one of the most impressive ancient temples in South-East Asia. I had set off early that morning in hopes of watching the first rays of the nascent sun illuminate the hundreds of weathered Buddhist statues lining each terraced level of temple. The sun’s valiant effort to cast its soft amber hues of daybreak was at first scuttled by the thick cloud cover. Perhaps the sunrise was lost but the eerie fog of the morning was more spectacular in a way. Later the sun’s rays managed to pierce through transient holes in the clouds and the complex briefly glowed a warm yellow. The sprawling pyramid structure of Borobudur is composed of six massive square terraces toped by 3 circular terraces and 72 bell shaped lesser stupas with an enormous main stupa crowning its peak. Each terrace is covered with elaborately decorated bas-relief panels. Atop the temple overlooking a forest valley below, aging Budda statues crouch stoically with a tacit air of clarity as if perpetually surveying the land below in an extended state of meditation. As I boarded the Pramban/Jogyakarta bus I was struck by the durability of the rusting tank-like people wagon. I stepped in with a measure of caution and sat on a seat made out of an old rice sack. Through holes in the rusting floorboard the semi-paved street was visible rushing by below. I looked out the glassless window and rested my arm on the metal door, the paneling long since gone revealing the sturdy metal shell. I handed the driver the fare and he placed the 5,000 Rupiah in a half cut yellowing plastic bottle bereft of its once transparence. He half smiled as we headed into the dusty city. Whenever the bus slowed down the driver pumped the brakes with no small amount of force, I surmised if the brakes were to completely fail I could always kick through the floorboard and help us come to a stop Flinstones style. The temples of Prambanan are another Javanese delight. 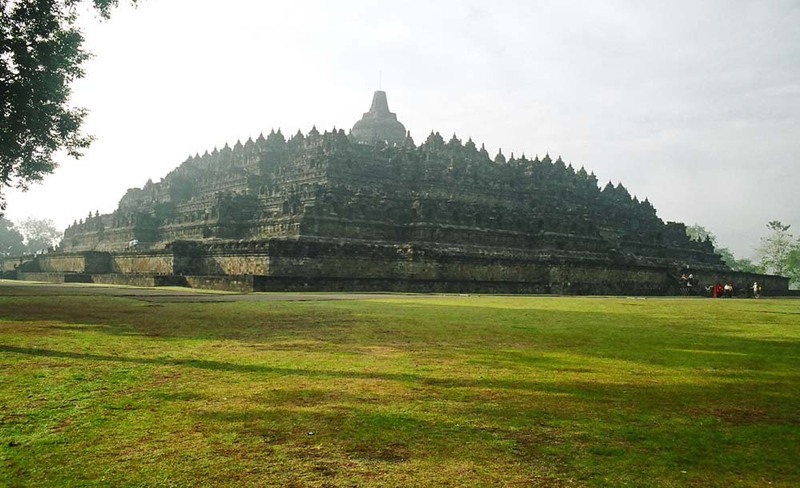 The conglomeration of Hindu temples built sometime in the 9th century stands as one of the largest Hindu temples in Indonesia . Among the 8 main shires the three dedicated to Shiva, Vishnu, and Brahma are the most impressive. The crowd probably numbered a couple thousand. As it happened I was on a narrow road on my way to visit Volcano Batur in the central region of inland Bali when I came to a clearing in the middle of a stretch of rice patties and farmland where hundreds of motorcycles were parked in a grass field next to an arena like structure. I decided to stop and see what all the commotion was about and walked to the arena. Before each fight the trancelike frenzy of the crowd grew in anticipation of the “battle”. 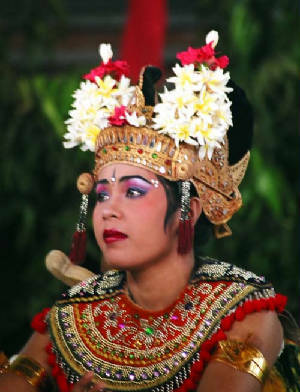 I made my way through the rowdy crowd to the top of the arena (of course as is the case in so many of my travels I blatantly stuck out, the only foreigner amongst a crowd of county dwelling Balinese….I felt very white). The arena as it were was a square dug-out dirt pit surrounded on four sides by a series of large stepped concrete slabs that effectively made up a set of bleachers where people stood on their feet and jumped in the air as the fight went on. More so than the fight the crowd was interesting. I snapped picture after picture. Voices shouted loudly as arms were held high and money exchanged hands in the air. It was unclear to me exactly how this chaotic form of wagering worked but before each fight money was passed from hand to hand up each step to the next row of people like a kind of reverse waterfall made of money. The chants would abruptly crescendo to a feverish pitch, and then just before each fight a sudden pause like the calm before a storm…… and then the birds were thrown at each other and the boisterous chants of the crowd resumed louder than before. Ok, so a cockfight isn’t actually PETA approved but interesting nonetheless. The roosters were kept in wicker boxes before the fight. After each fight the winning handler kissed his bird on its bloody beak and collected his winnings. 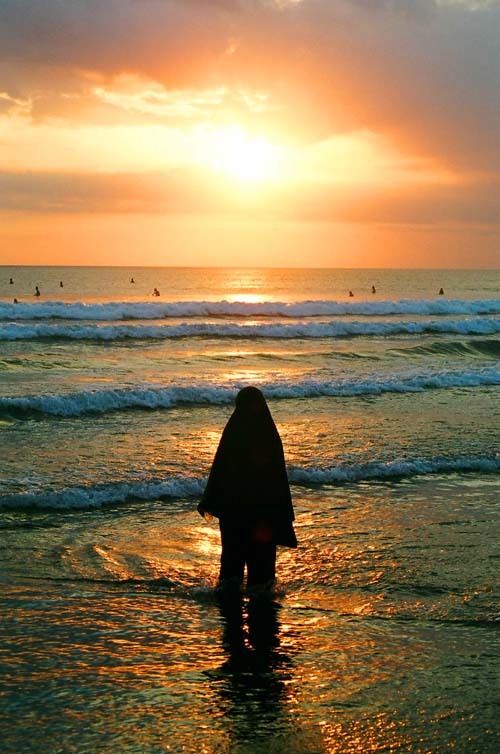 The fight is a brutal practice but still an interesting study in culture. Kuta is known for its stunning beaches and the consistency of its robust waves drawing surfers from around the world in search adventure. Unfortunately it is also know for the bombings in October of 2002 where simultaneous terrorist bombings killed 200 people in two packed bars. Until then the peaceful island had been largely insulated from the violence that marred the rest of the country. Unlike Java and most of the rest of Islamic Indonesia, Bali is mostly Hindu. For a while after the bombings people stopped coming, but the show must goes on as they say and people are returning now despite the probably over cautious travel warnings put out by most western governments and Australia. The crowds have moved on to other bars across the street, however memorial banners can still be seen marking the rubble where the bombings occurred. Despite all that happened in the past, Kuta remains an attractive paradise, and backpackers were in no short supply when I was there. Long strips of white sandy beaches bask in the warm embrace of the tireless Indonesian sun. The prodigious waves are abundant and the water is a brilliant turquoise. Droves of idle surfers float like cork in the distance waiting for the perfect wave of which there is no paucity. I surfed for a few days, very addictive despite all the tumbles and “wipeouts”. I could see myself spending an entire summer in Kuta, a wanna-be surf-bum. At night people flock to beach side bars where the ecclectic beats of European trance blast until the sun rises the next morning. Quite a departure from Kuta, the town of Lovina is about as laid back of a place as they come. Lovina is a sleepy fishing village with a volcanic beach and a certain bucolic charm with it many nearby farms. Along the beach fisherman wade in the water patiently waiting with nets in hand for their quarry. Dolphins swim in the distance early each morning. Along the shore wooden outrigger canoes lie in the sand until the fishermen sail out at dawn and fish all night. Small leaf baskets with bright flowers and incense burn all along the beach as Hindu offerings. Bedugul lies along the way from Kuta to Lovina. Bedugul is a small lake with a temple serenely nestled in the middle of its placid waters, talk about moment of Zen..... the place is just downright peaceful.